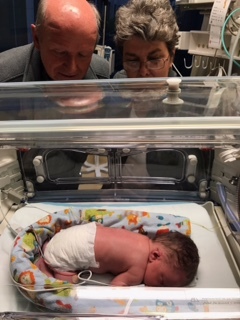 May not only brings us baby birds but this time we received our first great grandbaby. 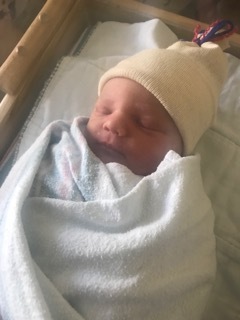 Hudson Thomas Dike was born May 31 and made a surprise grand entrance almost five weeks early. We were busy checking our guest reservations hoping he would arrive after breakfast was served but before guest check in. With his early arrival we had no guests and were able to get to the hospital within two hours of his birth. Hudson spent a little time in the ICU and an extra week at UW Medical Center while his lungs developed and he needed to gain a little more weight. We are so fortunate to have this precious bundle in our lives.